It was a mix of experience, I felt good and I felt bad. Walking down on the road leading toward Haji Ali Dargah; I realized how important to have a faith and a hope in our life. My little sister wanted us to visit Haji Ali Dargah and pray for our good health and happiness. 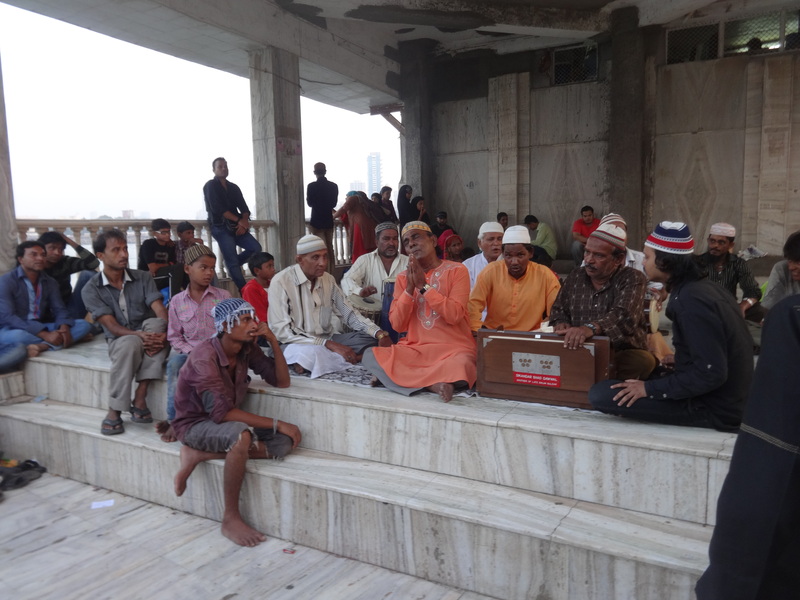 People have a belief and faith that if we pray and ask for something at the Dargah, the very soon that wish will get fulfilled. I am not sure how true it is, but this time I decided to visit this place. 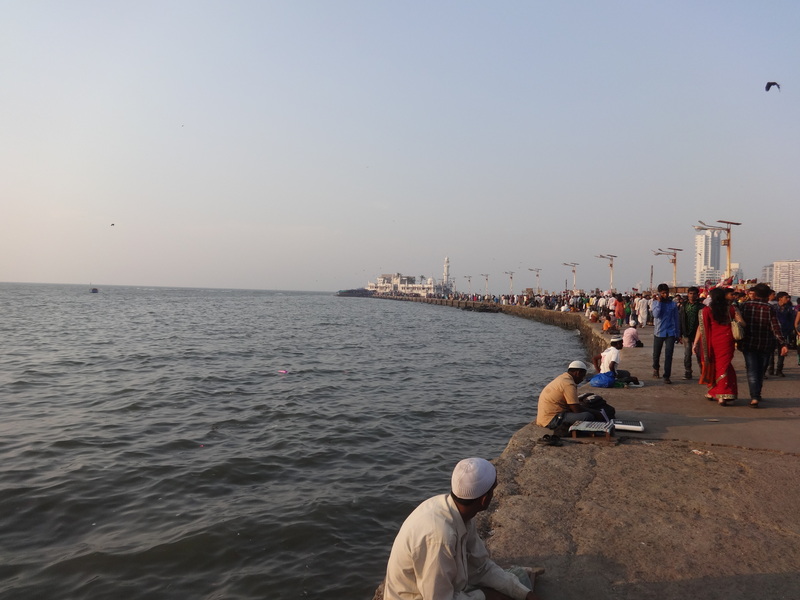 Haji Ali is the one of the places on my list of Mumbai Mission. The Dargah was built around 800 years ago. 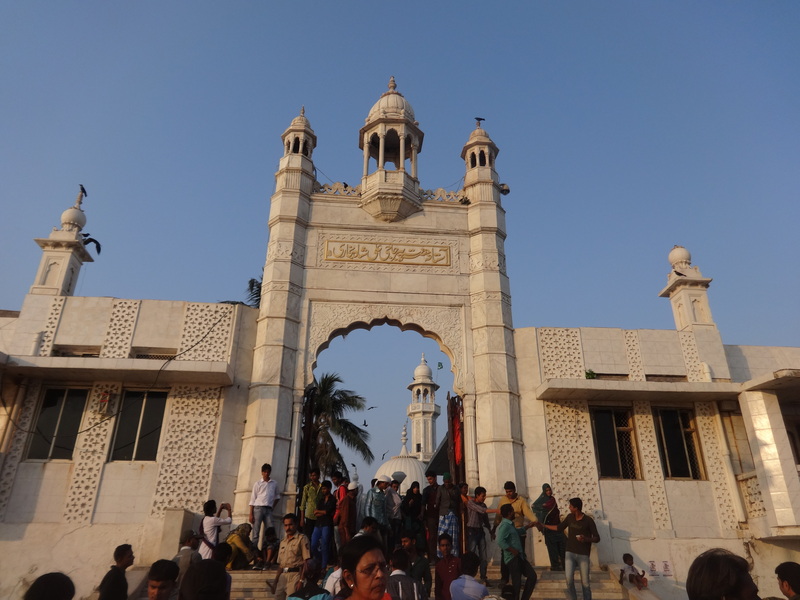 It is actually tomb of the Sayed Peer Haji Ali Shah Bukhari. As I stay in the central part of Mumbai. I took train till Byculla station and then taxi till Dargah Road. The sight of Haji Ali can be seen from the main road. 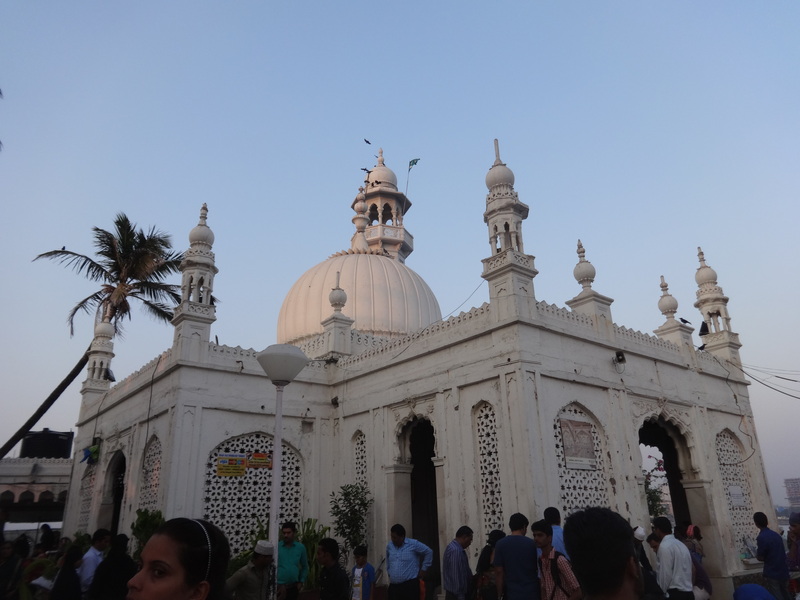 Haji Ali is located in one of the expensive areas of Mumbai. 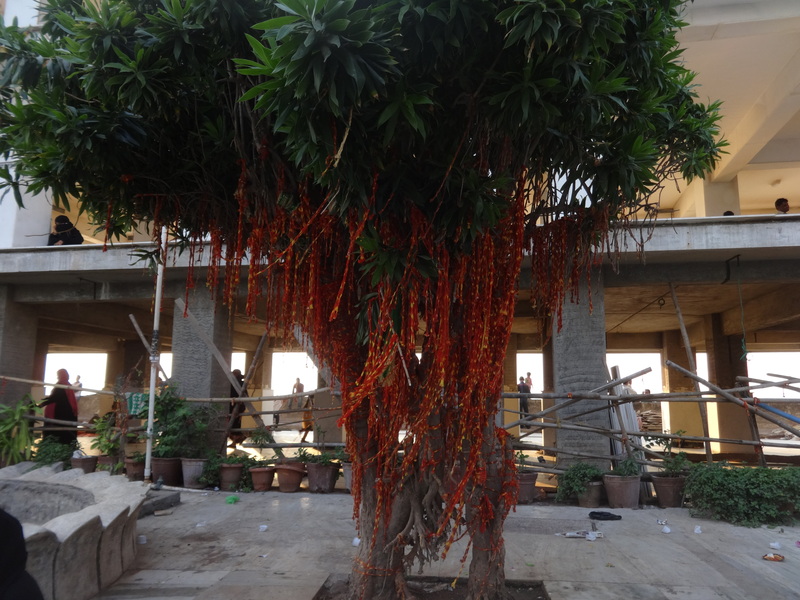 I witnessed “Antilia” one of the most expensive houses of the World. 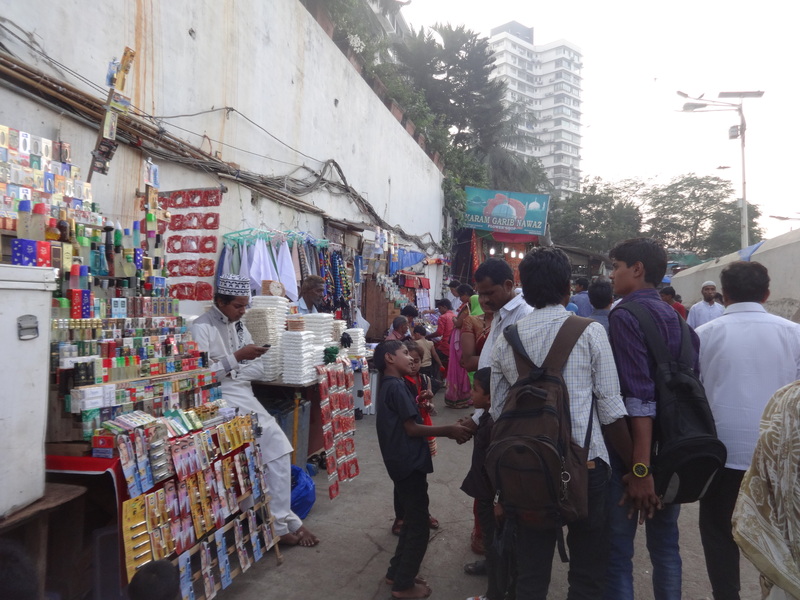 Unfortunately, the road full of beggars was next to the most expensive area of Mumbai. 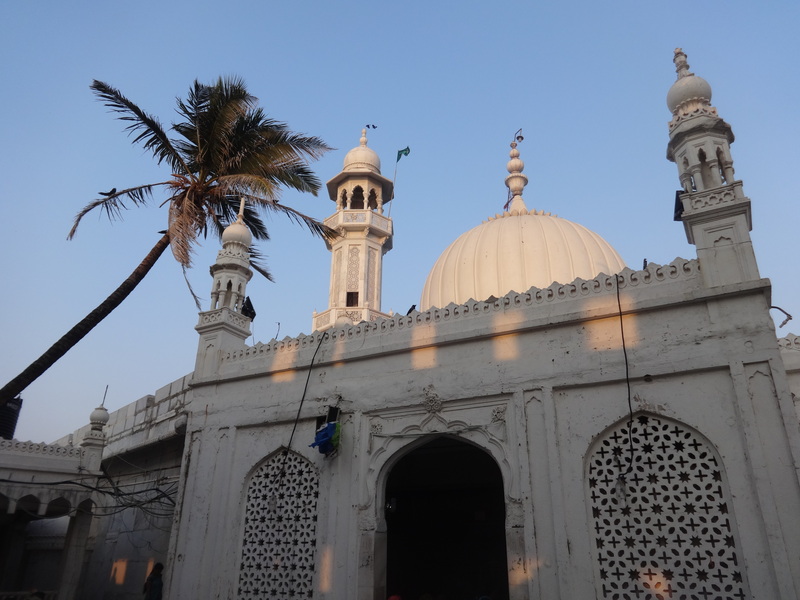 It was around 10 minutes walk from the Dargah road to the Haji Ali Mosque. The footpath was crowded with thousands of devotees, sick people, tourists, shop keepers, handicapped beggars lying on the floor. I have experienced different forms of life during this 10 minutes walk. Though seeing them was not a pleasant experience. At that time, I was thankful for what I have in my life, good health, nice family, friends and food. We were walking slowly, enjoying the breeze of fresh air and the sound of waves were hitting on the footpath. 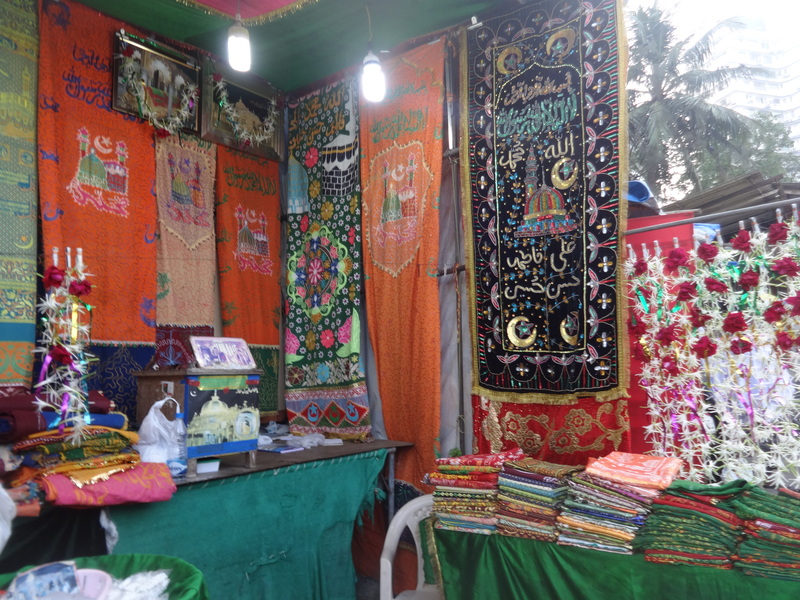 Though, the Shopkeepers were forcing us to buy a shawl or flowers to offer to the Tomb. When I entered through the main gate, the first thing I saw was a beautiful white dome surrounded by pillars. The place was crowded. There were two separate entrances for the men and women. It is compulsory for all to cover the head with cloth before entering to the Dargah. We removed our shoes and then we entered in Dargah. We made a wish and tied a small rope to the wishing tree. 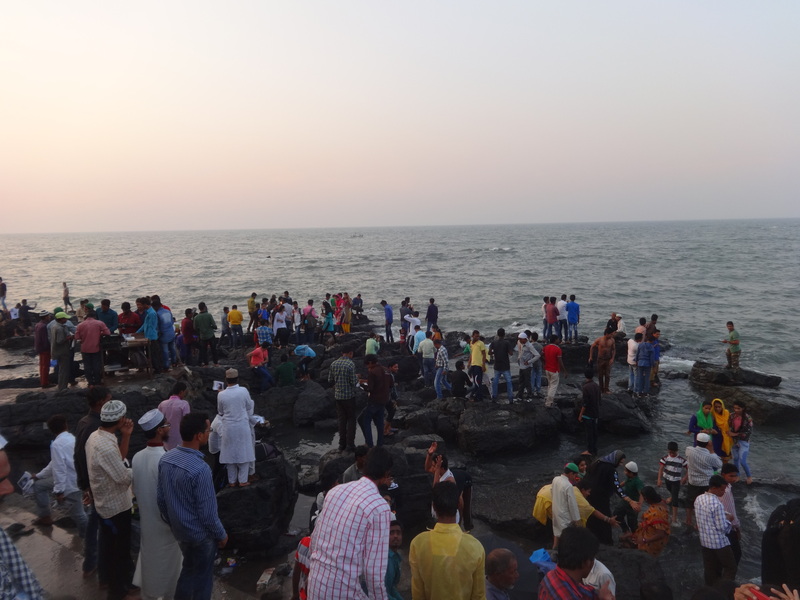 It is also the belief that once you wish get fulfill you have to come again to Haji Ali. After spending some time around the Dargah,we enjoyed Qawwali for a while, then at the back side of Dargah scenic view of the infinite Arabic sea. 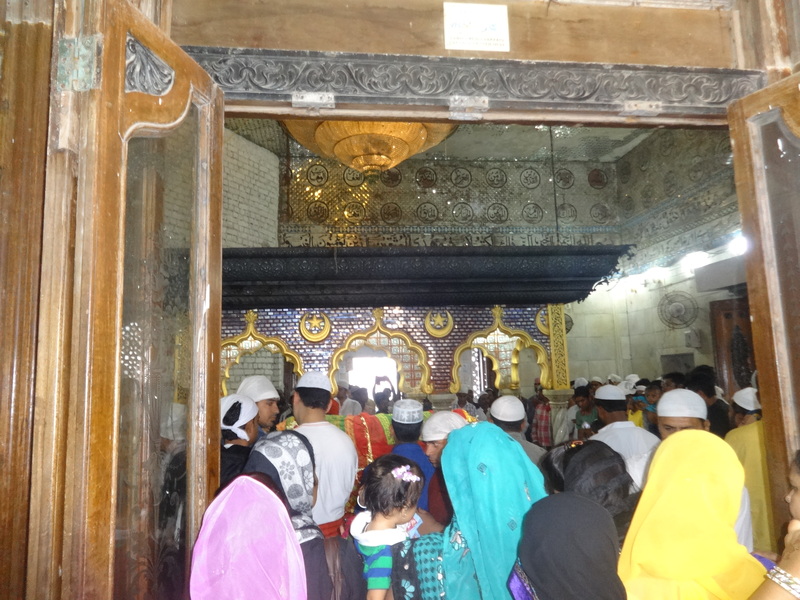 Later we left the Dargah in hope of that all our wishes will be getting fulfilled soon. Hi… nice elaboration of the surrounding and the dargah. Just one question, did you wish for something specific and did it get fulfilled? ?